In an ever changing world of colour & design we at Blind Date Blinds like to believe that not only can we keep up with the times but we can stay ahead too by offering the very latest styles in a large range of blinds that will suit a host of different personal palettes and design requirements. From Modern Vision & Visage blinds to the more traditional Roller & Vertical style of window covering, we can help you create your perfect design. We specialize in creating beautiful bespoke roller blinds using your own fabric so that you never have to compromise on your style again and are able to match your decor perfectly. All of our blinds are high quality using only high quality fabrics and components ensuring that we supply you with a product that lasts. 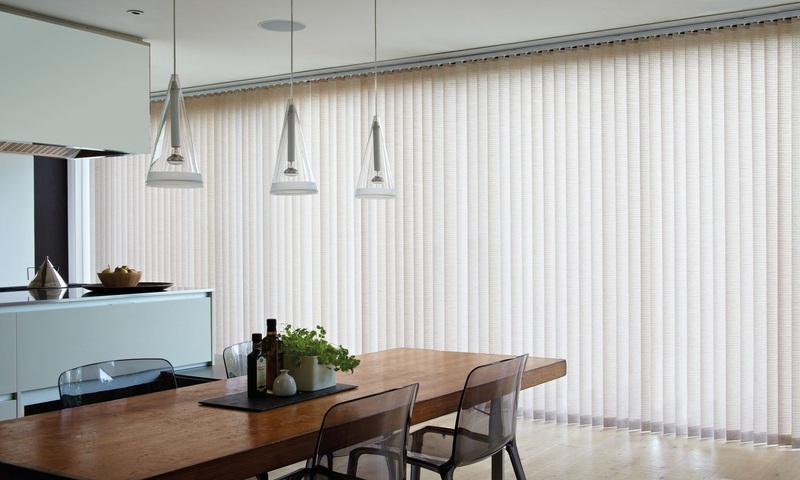 Take a look around our website to see how we can help you with all types of made to measure blinds. If you would like to speak to someone directly then please do not hesitate to give us a call and one of our team will be happy to guide you through the process and answer any questions that you may have. All of our blinds are made using the finest quality components. For our roller blinds we use a 32mm aluminium tube for roller blinds up to 200cm in width. We step up to a 40mm aluminium tube for blinds over 200cm to keep the blind free from bowing & bounce. Our Vertical blinds are made using a robust wide bodied head rail with wheeled carrier trucks for durability & longer life span. Even though the choice of blinds & styles is vast, sometimes you just need something that isn’t off the shelf. This technique is great for matching soft furnishings within your home, no longer are you confined to making compromises you can really let your creativity flow with our unique roller blinds. We specialize in creating beautiful bespoke roller blinds from material supplied to us from our clients, we can take your curtain material & Process or Laminate it into a beautiful roller blind. We take your material & coat it with a special resin which the fibers absorb & make the fabric stiffen enabling us to make a blind from it. Again we take your material & fuse it together with a bonded lining which then makes the fabric stiff enough to create your roller blind. The stunning opulence of meticulously hand crafted interior shutters completes our wood & faux wood offering. This capsule collection offers both a wide range of styles and stunning finishes and a delectable colour palette. Louvolite’s award winning Perfect Fit® blinds are a fantastic option for UPVC windows and doors as no holes are drilled into your window frames. Perfect Fit® has no gaps at the side to give enhanced privacy and improved insulation. Due to having no loose cords Perfect Fit® is completely child safe so is perfect for homes with small children. We’re happy to help so please don’t hesitate to get in touch if you have any questions, give us a call on 0118 9831400, alternatively you can send us an email to blinddateblinds@btconnect.com.